Want to start off the new year right by having healthier teeth and gums? You can easily do this, as good oral health happens with simple habits done daily. That includes brushing, flossing and a few other key habits. These small things done each day can help you have a healthy and beautiful mouth all year long and for years to come. Just follow these simple tips! Did you know that oral health diseases are the most common diseases Americans face? The National Institutes of Health reports that tooth decay (cavities) is the most “common, prevalent disease” in both children and adults. Gum disease is a close second, affecting an estimated 64.7 million Americans (and that’s only counting the adults). The sad part about these two diseases is that they lead to tooth loss and a poorer quality of life. What’s even worse is that both are completely preventable if you eat right and take care of your teeth through good oral hygiene. Toothbrushes should be discarded about every 3 months, or when the bristles start to become frayed. Use a soft-bristled brush that will be effective for keeping your teeth clean while not being too aggressive on your tooth enamel. You may brush, but do you floss? Some patients assume they are fine without flossing if their dentist didn’t mention anything at their dental exam and cleaning appointment. However, that doesn’t mean that you don’t need to floss. You should floss daily, at least 1-2 times. Why? Because a toothbrush simply can’t get all the spaces between your teeth. It’s estimated that flossing reaches about 40% of your tooth surfaces that brushing misses. If you think about all the plaque that builds up throughout the day, week, month and year, you easily leave your mouth at risk for cavities everywhere if you don’t floss. If you do floss, you want to make sure you are doing it correctly so that it’s worth your time. When you floss, get about 18 inches of new floss each time. Reusing floss means that you will be introducing previous bacteria into your mouth, which is something you don’t want to do. Using your new floss, wind it around both of your pointer fingers or around both of your middle fingers. Make sure to leave 1-2 inches of space between the fingers and pull the floss tight. Use the same fingers the floss is wrapped around to push the floss up between the teeth. Flossing should not be forceful, and you shouldn’t bleed when you floss if you are doing it regularly. 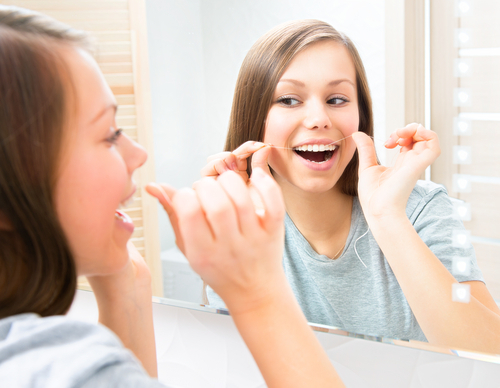 Floss up into your gum line where the small triangle shape of gum lies between the teeth. The floss should go up a couple of millimeters into this area where food gets trapped. Scrape your teeth as you bring the floss down your teeth to remove extra plaque. You may have to pass the floss through the same areas several times to remove all food and plaque. If you still seem to get cavities here and there, you can add in extra oral health care habits if you want. For patients that have gum disease, they may require special oral health products made to help gum disease. However, common additives to an oral hygiene routine are mouthwash and fluoride. Mouthwash is an antiseptic rinse for the mouth that can gently kill harmful bacteria that would cause you tooth decay, infections and gum issues. Fluoride is a naturally-occurring mineral in the earth’s crust. It is proven to help strengthen and protect tooth enamel. You may also want to consider cutting back on your sugar and soda intake. Sugar products quickly lead to tooth decay, as sugar is the substance needed to create plaque. Consider cutting out carbonated drinks and ones with citric acid in them as well, as those acids erode tooth enamel, making your teeth thinner over time. If you must drink them, drink through a straw to limit contact with the teeth. It’s fairly easy to have healthy teeth and gums if you follow the few simple habits we’ve mentioned. 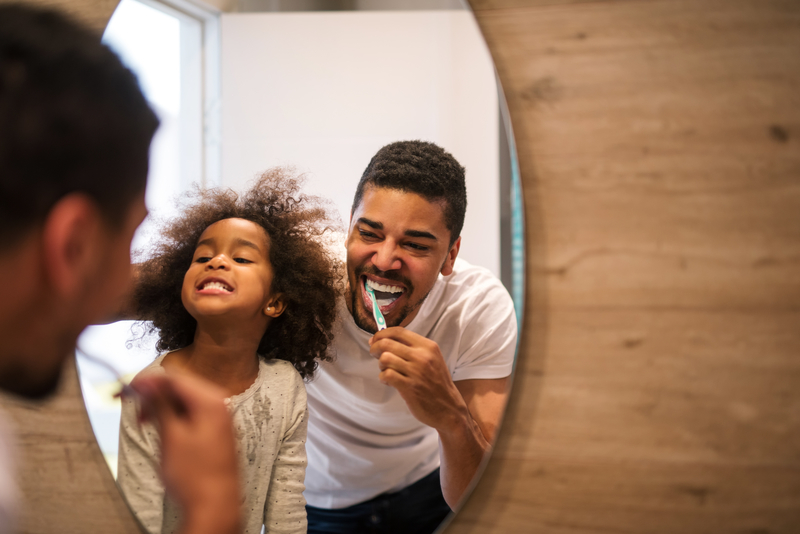 Brushing and flossing only take up a few minutes of your day, yet they are so important for you to keep your teeth and gums healthy for life. If you don’t currently follow these recommendations, try them for several weeks and see if your mouth feels different. Better yet, do these habits between dental visits and see how your oral health issues start to go away. Your teeth will look brighter, whiter and they will be stronger. 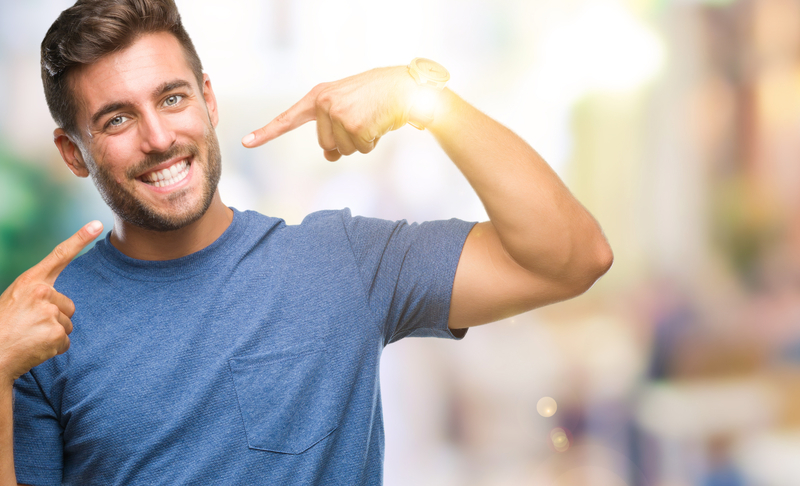 For specific products that we use and oral health brands that we trust, call Dr. Evanson’s office today at (720) 409-0008!